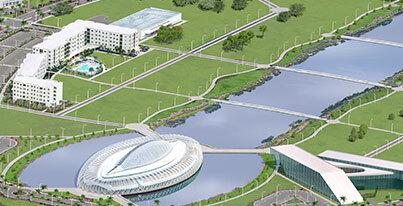 Florida Polytechnic University is hosting its second spring edition of #STEMTalks, a Google+ Hangout, at 7 p.m. on March 24, titled, “The Sustainability Gap: What it Means for Future Generations.” A panel of Florida Poly professors will discuss energy harvesting, storage and delivery as the topic of sustainability becomes increasingly critical. Here are five questions Florida Poly will discuss on the March 24, #STEMTalk, about technology’s role in securing the world’s energy and food supply. 1. How is technology influencing sustainability in food production and how is this impacting what we eat? 2. What does climate change have to do with environmental sustainability? 3. What are some technology innovations the U.S. being used to secure energy sustainability? 4. How is the current usage of natural resources going to influence the next generation? 5. How “green” are the products we use today? Do you have a question for the Florida Poly panel? Start tweeting your questions using the hashtag, #STEMTalks or ask directly on our event page.